Talend, together with Snowflake’s data warehouse built for the cloud, delivers a strong solution for data integration and analysis across across multiple clouds, as well as on-premises environments, and enables greater collaboration between IT and business teams. Our team searched for the best possible technology to support our new reality and we decided to move forward with the combination of Snowflake and Talend …. we were able to quickly implement new functionality. Today, we are supporting many times more data and users than before our move. The Snowflake and Talend combination has been a great success story for us so far. Our collaboration with Snowflake will help reduce deployment and configuration bottlenecks so IT leaders can focus on delivering data-driven insights to the business rather than managing infrastructure. Learn how Snowflake and Talend helped DoubleDown consistently deliver industry-leading, online casino gaming experiences. Download this case study to hear how Uniper is disrupting the Power Industry. Getting cloud and on-premises systems speaking together using Snowflake and Talend. Talend and Snowflake are core components of the platform we’ve built to deliver top-tier healthcare data and analytics service. Hear the seven tips to enable and empower organizations to become data-driven. Join Talend and Snowflake for an insightful discussion of the latest trends in analytics and data warehouse solutions with renowned thought leader Dr. Claudia Imhoff. 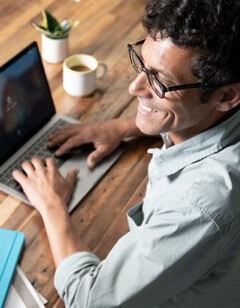 New native big data connector streamlines cloud data integration, warehousing, and analytics. Understand the four essential pillars to building a data lake and getting on the path to a better solution. DRG uses Talend Cloud to scale and succeed in providing healthcare market intelligence. 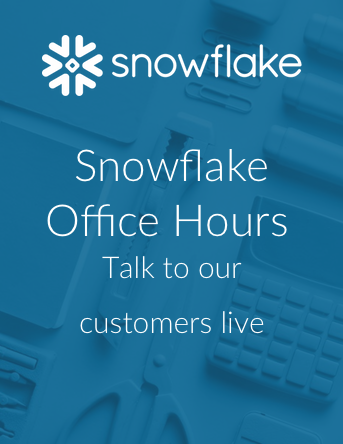 Want to Become a Snowflake Technology Partner? Become part of a successful ecosystem of partners providing data-driven solutions to our customers.